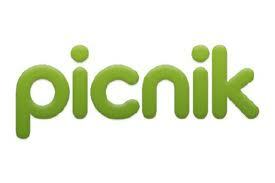 California Livin Home: PICNIK is CLOSING.....Why am I so bummed out? When I opened my Etsy Shop in March of last year my only dilemma was that I would have to use Photobucket to edit my pictures. I first started using them when I sold on EBay under California Livin years earlier. At first Photobucket was great, it did what I needed and made my items look professional. After a couple years though the editing became slower and I was not as happy with the finished result as I had been. So when I joined Etsy last year I was none too excited about revisiting my old friend, Photobucket. I came across my beloved Picnik shortly after opening my Etsy Shop. Picnik was fast forward to Photobucket's slow download-pause-edit-take forever to save mode. I was in photo editing heaven. No seriously! I love sewing, which is my passion. I love finding the fabric, cutting it than creating something from it. Taking pictures of my items to list is a whole other burden. The lighting has to be just right, the picture cannot be too blurry and the item needs to be placed just so. It is a task! So when it comes to editing your photo you just labored over (mind you, I must take 4 of each angle just to get one good one out of the whole batch) you want that process to be as easy as possible! Picnik did all that for me. It was a snap. It became a joy to edit instead of a burden that gave me headaches. It was my new found friend in photo editing and I would never go anywhere else or use another editing program ever again. Then I got the dreaded email. PICNIK WILL BE CLOSING APRIL 19, 2012.